This is the Cougar Ace. 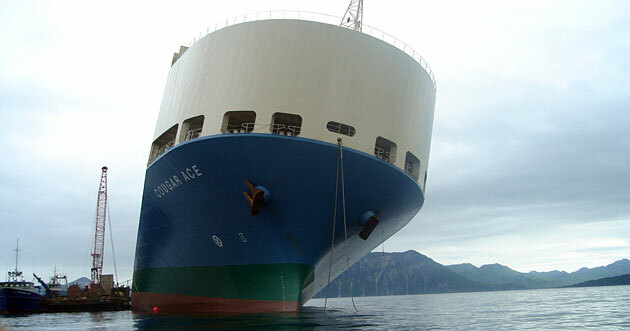 It is a car transport vessel. In the picture above, it is listing at approximately 60deg in Bearing Straits just off the coast of Alaska. 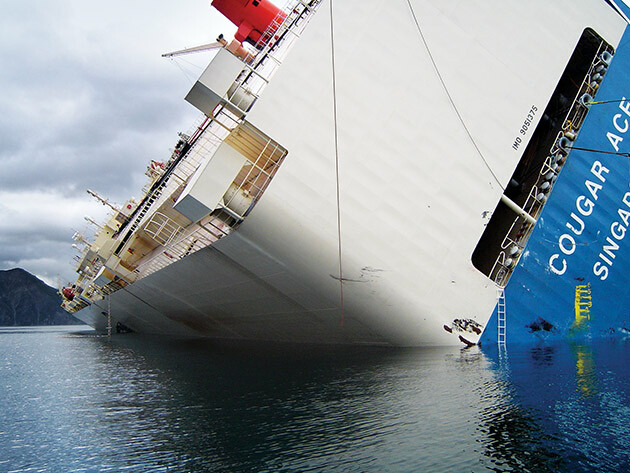 When the ship ended up like this, which happened in a matter of moments, the phone rang in the bedroom of a man named Rich Habib at 4:30am. When things like this happen, which seems to be about once a month or so, he’s the guy that gets the call. If you get calls at 4:30am that aren’t drunk dials from your friends, you probably are a BAMF. Wired magazine wrote an article on Rich Habib and his crew from Titan Salvage, they called it Sea Cowboys. It is awesome. The ship is roughly the length of two football fields. These guys got choppered onto the boat, where they then had to basically rock climb their way around the ship. Imagine what would happen if the floor of your house was suddenly where the wall is supposed to be, only at a slightly less convenient angle. The corrective method involved the relocation of 160.9 tons of water. I love the “point nine” in there. These guys are precise. They do crazy, crazy stuff. And they do it well. When the Titan Salvage crew was done doing their thing, the Cougar Ace looked like this. RH and your boys at TS, you are all BAMFs.